A BEAUTIFUL HOME OF GRAND PROPORTIONS. Proudly sitting at the end of the court, this stunning two storey residence offers a very versatile floorplan on a massive allotment. The grand design features an impressive front entrance, with a beautiful ballroom style staircase which leads you to the upstairs living zone; here you will find three generous sized bedrooms, two with WIR's and the other with BIR, and 2 large storage rooms offering additional space to store those larger cumbersome items or hide all those extra toys. Downstairs is the master suite with a stylish double vanity en-suite and walk in robe, plus a huge study with built in cabinetry. 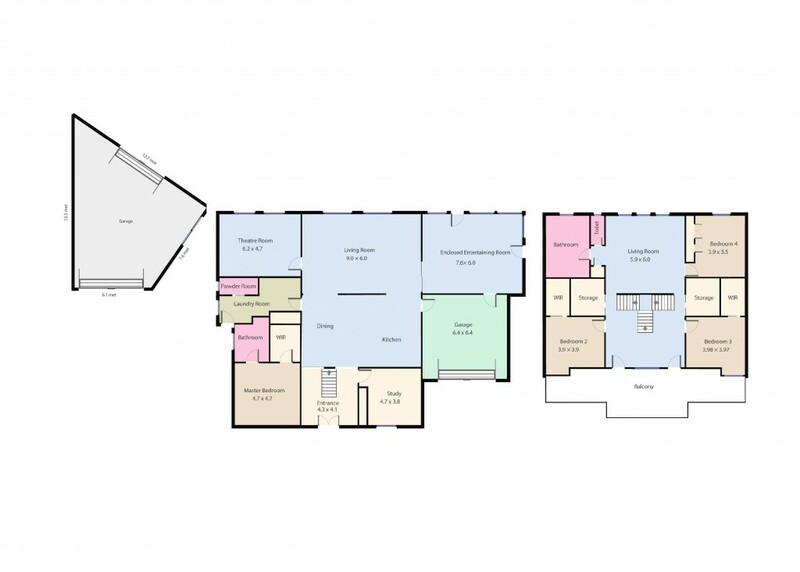 The first level is designed with entertaining in mind, with a central kitchen, adjoining dining & family room, while a theatre room creates a quiet retreat when considering a movie night. Feature lights, a generous walk in pantry, a hideaway appliance centre and a 900mm cooker compliment the angled island bench in the kitchen, while the grey tones and waterfall benchtop blends beautifully with the stainless steel appliances. An extra-large laundry plus powder room also adds to the extra features and conveniences downstairs. Two air conditioners and ducted heating keep the home at an ambient temperature, while a ducted vacuum system creates an easy option when cleaning. The fully enclosed outdoor area with spa and built in bar creates a fabulous all weather entertaining option, while the beautifully landscaped backyard features a spacious deck area for entertaining on the warmer days. This property presents two driveways, with room for up to four cars; one double garage has internal access, and the other garage includes a workshop perfect for the tradesman! All in a 5 minute drive to Delacombe Town Centre!